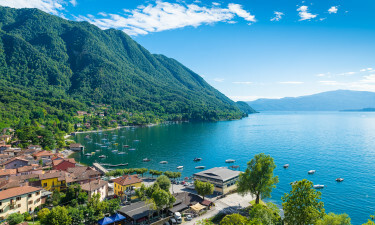 Sometimes known as Lago Verbano, Lake Maggiore is situated on the southern side of the Italian Alps. It is also one of the largest lakes in Italy. 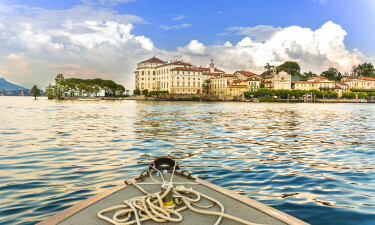 Boasting a mild climate and stunning examples of local flora, Lake Maggiore is a popular holiday destination. Please speak with a LUX-Camp representative to learn more. Stunning views of the nearby mountains. Numerous and quaint islands found within the confines of the lake itself. Exotic plants due to an amenable climate. Clean beaches and pristine waters. Valle Romantica is one of the top luxury camping sites within this region. Offering the appeal of a botanical garden, its natural confines are complimented with truly modern amenities. 188 individual pitches offer dedicated power supplies, Internet access and waste disposal facilities. Baby changing areas are available for all patrons while on-site activities include table tennis, volleyball and an open-air pool. Mobile homes and caravans are both options in terms of rental accommodations. Valle Romantica is also located quite close to other fun distractions such as tennis and freshwater diving. Restaurants and food provision facilities are located within this luxury camping resort. 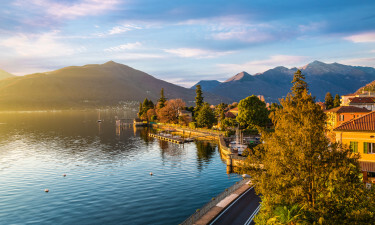 Thanks to its relative seclusion from major urban centres, Lake Maggiore offers some truly splendid natural experiences. Some of the most beautiful strips of sand include Ghiffa, Oggebbio and Verbania. Nature lovers should make it a point to visit nearby preserves such as the Val Grande National Park (the largest park in Italy). 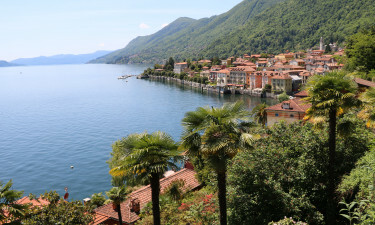 Lake Maggiore is famous for its selection of locally grown honey, cured meats and organic cheeses. The wines here are likewise particularly rich in flavour. The local residents are as open and warm as the region itself. Please contact LUX-Camp to further appreciate what this location has to offer. Lake Maggiore is known for its selection of nature-oriented museums. Examples here include the Landscape Museum, the Rosetti Valentini Museum and the Museum of Woodworking. Numerous excursions will allow visitors to appreciate panoramic views of nearby farms while in the spring, a kaleidoscope of colours can be viewed in the aforementioned botanical gardens.